It could possibly be called the sweetest festival in the world; one of the most friendly platforms for competition; and a travelling destination for frozen dessert innovation. I’m referring to the Gelato Festival America Tour—a mobile festival that invites gelato artisans from the U.S., South America, Canada, and Italy, to compete for the title of World’s Best Gelato in a tasty competition that is open to the public, and, most of all, encourages the Italian culture of gelato in the States. 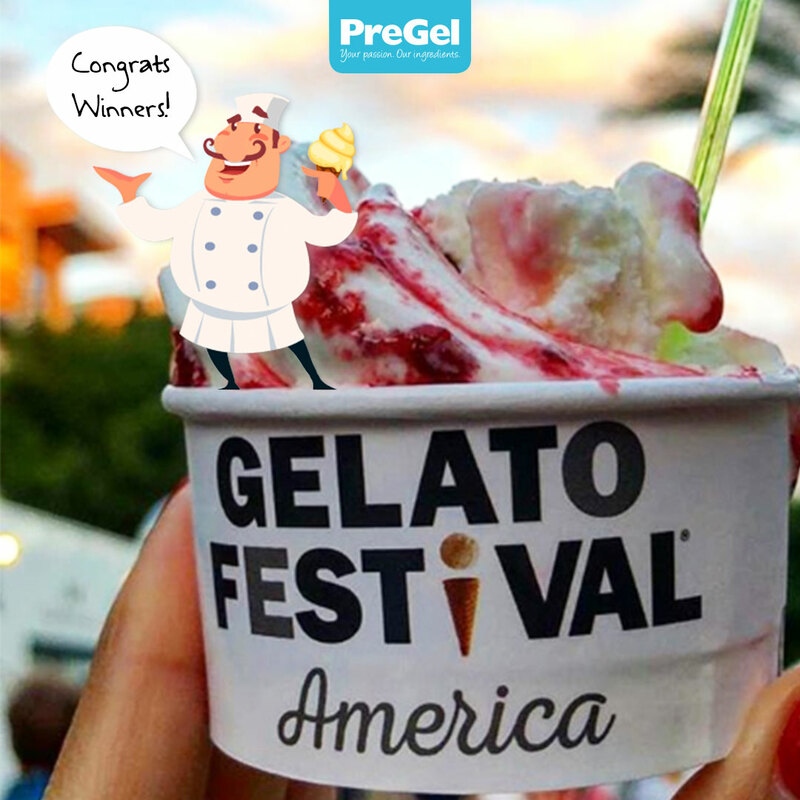 PreGel was fortunate to have been a part of this competition for two succeeding years; first in 2017 as the main ingredient sponsor, and again in 2018 as the main sponsor in conjunction with WhyGelato.com. And during our travels with the Gelato Festival, our ingredients helped to create hundreds of pans of gelato throughout such a revolutionary experience for gelato chefs with obvious passion for the Italian-rooted craft. This year we traveled from Jersey City, New Jersey to Santa Barbara, California, while making some delicious stops in between. And during those expeditions, we were able to be a part of an unforgettable experience for many chefs who developed phenomenal, unique, and innovative flavor creations made to be enjoyed in the form of authentic Italian gelato. Furthermore, we were thrilled that the specialty dessert ingredients we produce helped to make those creations that brought so many people joy. 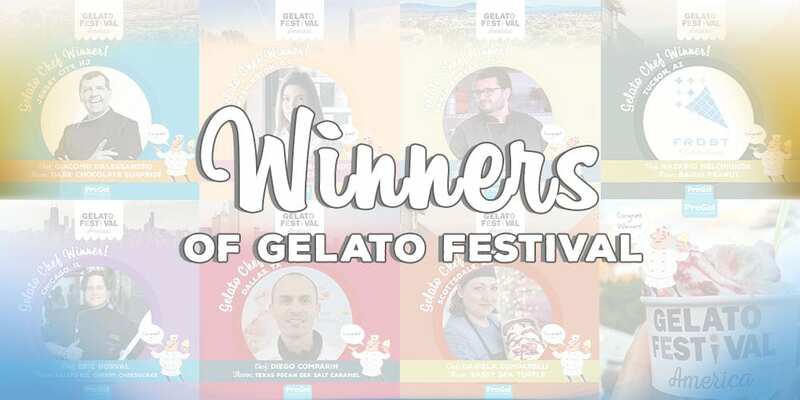 The four 1st place winners from the 2017 Gelato Festival America, along with the seven 1st place winners from the 2018 Gelato Festival America will be competing in 2019 for one of the three spots to head to the Gelato Festival World Masters 2021 in Italy.  The 2nd and 3rd North American artisans will be selected in 2019-2020. 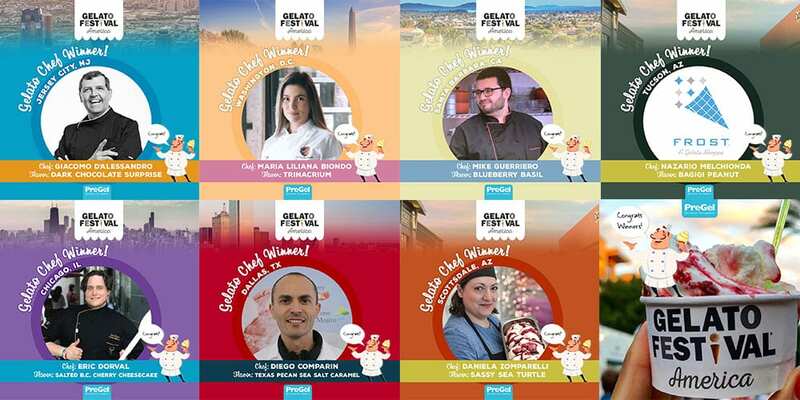 In the Gelato Festival World Masters 2021, there will be a total of 36 chefs from all over the world competing for the main title.